Find the ideal workout option for you! The key to successfully making exercise a regular habit is choosing something you find enjoyable, fits within your lifestyle and is appropriate for your fitness level. Try these tips to find the ideal option for you. Remember to chat with your doctor before getting started, especially if you are new to exercise or if you are considering an exercise that is new to you. If you’re new to exercise, or just plain out of shape, you’re considered a beginner. Walking is the best way to get started with exercise. You can also try simple body weight exercises such as those found here. Avoid getting bored with your routine by switching things up from time to time. Go to the gym once a week with a friend, take a bike ride around your neighborhood, or find a short class you can take at a local community college or recreational center. So you’ve developed a strong routine that you can’t live without. Where do you go from there? Do something active just for the fun of it! For example, take a dance class, go swimming with your kids, or try outdoor activities like hiking or kayaking. Gyms may not be the route for you if you have a tight budget, but there are plenty of exercises you can do at home! Try some of our Workouts of the Week to get started. There is also a variety of free apps that can help you meet your fitness goals (learn more about some of those apps here). Learn more about free and low-cost ways to work out here. 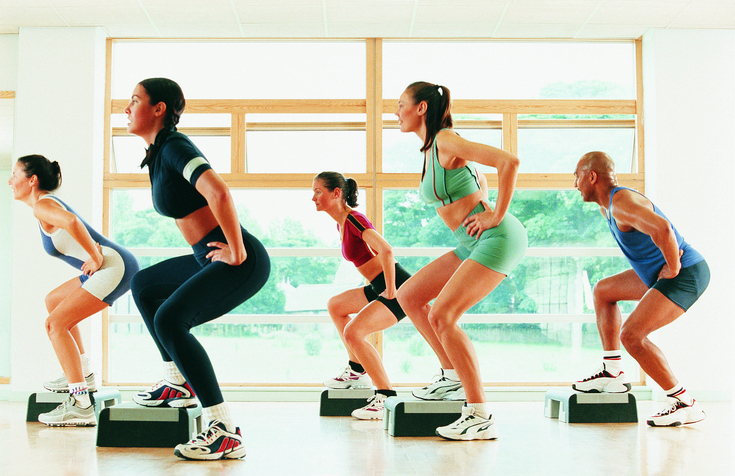 Try group classes at your local gym, fitness center or community college. Start a walk-at-lunch group with co-workers. You can also find a buddy to work out with to help pass the time and provide extra accountability and support. Time may be something you never seem to have enough of, but that doesn’t mean you should skip out on exercise. Try things like circuit training, tabata training, and the 7 minute workout. Find ways to make everyday activities exercise. Opportunities for fitness are everywhere–for example, you can even do squats while brushing your teeth! You enjoy your downtime, but know that you should start exercising. Where to begin? Set a timer and take breaks from your couch time to get up and do jumping jacks, push-ups and/or crunches. You may find stability ball exercises enjoyable (who knew you could get some exercise while sitting?). Try programs that can help ease you into exercise, like Couch to 5K. Ultimately the best workout option for you is the one that you’ll follow through with! If you are a Health Advocate member with access to the wellness coaching component of our Wellness Program, contact a Wellness Coach today to help you get fit and improve your health. How much water is necessary for a workout?